These two points, the geographical relationship of Isis and Nephthys with south and north respectively and the involvement in the solar cosmogony, has also its expression in the art of Ancient Egypt. 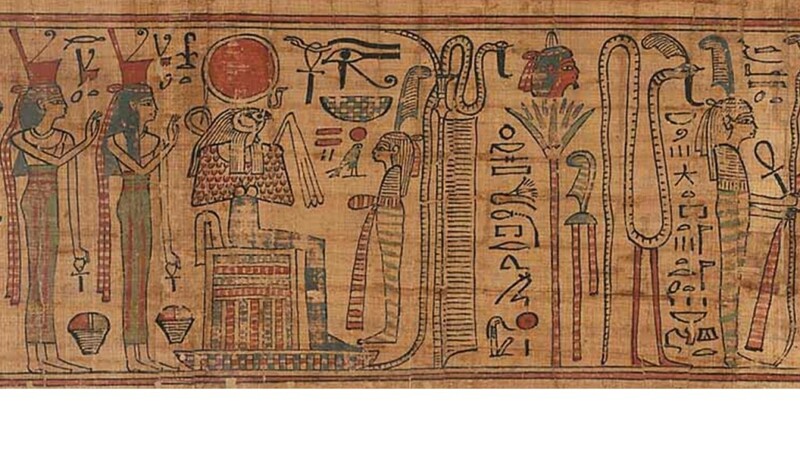 For instance, in the Book of the Dead of Nespakashuty (XXI Dynasty) the ancient Egyptian artist joined the two conceptions introducing some changes in the typical osiriac scene of Osiris seated in his throne and behind him the two standing goddesses Isis and Nephthys. On one hand, the artist of Nespakashuty drew the solar god Ra-Horakhty, “Horus of the Two Horizons” (a combination of both deities, which formed a god of the rising sun, so the east) on the throne instead Osiris. On the other hand, behind him the two goddesses (the two mourners) were not identified as “Isis” and “Nephthys”, but as “The One of the South” and “The One of the North”. It seems that here the ancient Egyptian artist pretended, not only to unite both, osiriac and solar, traditions, but also to allude to the geographical references of a typical funerary scene.